Founded in 1999, Neteller is an e-wallet company that has been serving customers from over 200 countries for over a decade. The company is owned by the Paysafe Group, who are also at the helm of UK giant Skrill, and Paysafecard. Neteller makes online and offline payments easy for businesses and private individuals. 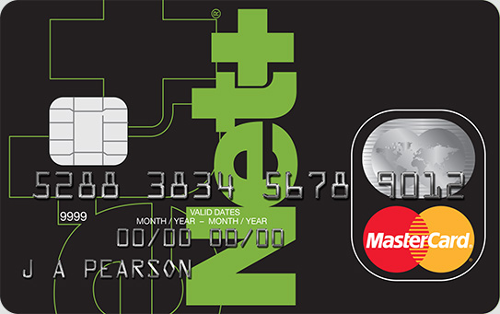 They allow for fast money transfers between Neteller accounts, and MasterCard purchases anywhere through the Net+ card, which is available to all customers. If you’ve ever visited an online casino, odds are you’ve heard of Neteller. They have a massive presence in the iGaming industry, and thousands of transactions between sportsbooks, casinos and players go through Neteller accounts every day. Bet365 is at the frontier of sports betting on a global scale. They host millions of users and offer a nigh limitless set of betting markets on a variety of sports. The company’s top priority is making users feel welcome and allowing them to easily deposit and withdraw money. Betway is somewhat of a rising star in the UK sports betting world. This bookie is famed for its intuitive website, comprehensive sports betting markets and frequent special promotions. It also works as a charm on mobiles. As a UK player, you can use Neteller to perform deposits and withdrawals at Betway, and here’s the most important info regarding this payment method. Fast payments and minimal fees are the biggest reasons for Neteller’s worldwide popularity. If you want to take money out of your Neteller account, below you’ll find the fees you’ll be faced with. VIP members have reduced fees on nearly all types of transactions. Moreover, keep in mind that whenever a transaction also involves currency conversion, you will be charged a 3.39% foreign exchange fee. A big reason for Neteller’s popularity are the easy and fast transactions they enable. Making deposits to your Neteller account, sending money to private accounts and depositing to bookmakers are all instantly processed. Neteller is also famed for its remarkable withdrawal times from sportsbooks. While most transactions take up to 24 hours, which is still an industry high, there are times when the money will reach your account within just a few hours. Neteller is one of the safest payment services in the world. The company has numerous anti-fraud security measures to make sure your transactions always go as planned. Neteller is also authorized as a UK FCA (Financial Conduct Authority), and as such keeps all of your money in separate trust accounts. As far as safety measures on your part, you can add two-step authentication to your account in order to add an extra layer of security. Using Neteller is simple, you can get your account up and running within minutes. Just make sure you’re entering the same personal information to match that to of your sportsbook’s account. Once you’ve created your Neteller account, you are free to fund it via your preferred payment method. Keep in mind that unverified accounts have limits on how many transactions they can make and how much money they can deposit. To alleviate these limits, you can verify your account, which usually takes only a single business day. 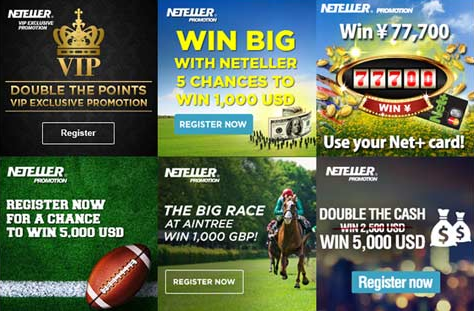 Once your Neteller account has been funded, you can now deposit at any bookmaker. All Neteller accounts have a unique Account ID and Secure ID, both coming in numerical form, albeit the former can be replaced with your e-mail. Your secure ID works similarly to the CCV code of your debit or credit card. You must enter it every time you’re making a deposit at a sportsbook. When depositing, enter your account and secure IDs, the sum that you wish to deposit, and you’re set. Withdrawing funds to Neteller is an even simpler process. Click the designated withdrawal button in your bookie’s banking section, select Neteller as your preferred withdrawal method, and you’re done. If you haven’t already, you will also need to verify your identity. This is done via sending a photo or a scan of either your personal ID, passport or a utility bill that’s no older than 3 months. Some bookies don’t always require verification, but if you withdraw funds at regular intervals you will have to do it sooner rather than later. Neteller is in cooperation with all the top brands in the UK iGaming industry. You will have no troubles accessing it regardless of where you decide to play. Coral is an established powerhouse in the UK betting scene. They boast one of the most diverse sportsbooks, with frequent special promotions and top-notch customer care. Not only that, but Coral’s casino section is up to par with the best to boot. Whether you’d prefer playing classic table games, slot machines, video poker, arcade games, progressive slots or even live dealer tables, Coral has got your back. UK casino players can also take advantage of several welcome offers to up your bankroll from the get go. Most people need no telling of Paddy Power’s excellent status in the sports betting sphere. This bookie has a formidable online and offline presence, making it one of UK’s greatest. Although they made their name as a bookmaker, their casino section is by no means neglected. In fact, the top tier gaming lineup, VIP club, admirable promotions and excellent mobile support make Paddy Power casino a great long-term destination for any gamer out there.